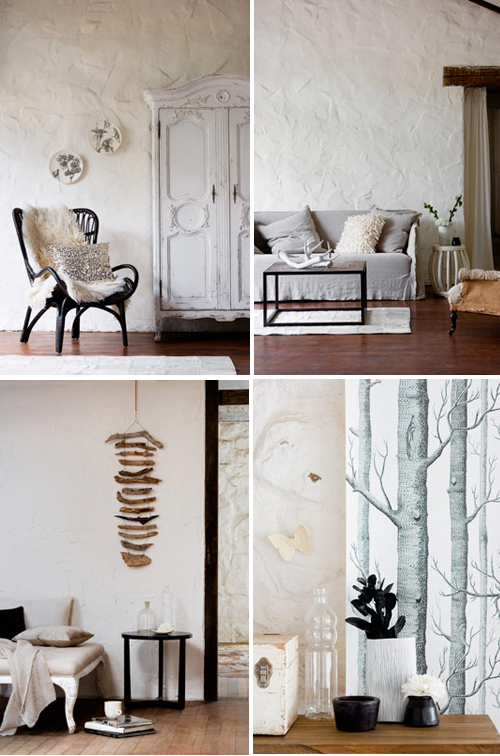 Some beautiful interiors in neutral colors and with natural elements from the portfolio of stylist Lara Hutton. I really like the tree barks wallpaper. They look so modern and beautiful! I love the driftwood art! I think I may have to give that a go!